Morocco is a crazy, amazing place. Before I went there, so many people filled my head with stories and misconceptions, telling me I was going to have everything stolen, that I was going to get beaten up, that I was going to get abused, etc. All completely untrue. No one laid a finger on me or my belongings the whole time I was there. In fact, for a lot of the trip, I’d never felt so safe and at ease. You want to eat, you can eat whenever, even at 3am – many market stalls are still open. You want to sleep under the stars, you can – most hostels and riads have roof terraces. The ease and relaxation with which people go through their everyday lives is actually astounding when you come from a bustling city like London, where everyone is constantly hurrying, under varying levels of stress. I have been on so many spa breaks and beach holidays and never have I felt more relaxed than I did in Marrakech. And that’s not to say it wasn’t busy and bustling, because it was. But behind the bustling surface was a layer of calm that most Londoners, New Yorkers, and Parisians could only dream of aspiring to. Marrakech is a city of contrasts; and Morocco is a country of contradictions. Our hostel was in the medina, or old town, and we daily walked past people living in just a single room with no running water, people using donkey-driven carts. And yet just a 10-minute drive away is Gueliz, the new town, built by the French only a century or two ago. Immediately you feel like you are in the French Riviera. Large roads are lined with expensive cars, parked outside extortionately priced clubs attended by the rich and glamorous, as well as the tourists who fill glorious hotels like the Four Seasons. In the traditional medina, women have to cover up fully for religious reasons; in Gueliz, girls wandered around in hot pants and crop tops. From Starbucks to Zara, it seemed like any European city. And the millenial generation aspires to this modernity, even in small ways. One of the hostels where we visited our Moroccan friends didn’t even have an oven or hob or air con; and yet the lads working in the hostel all had smartphones. Morocco more generally is a crazy place with little genuine law and order. It’s technically illegal for Moroccans to walk with tourists or enter hostels as guests, but of course this isn’t enforced. 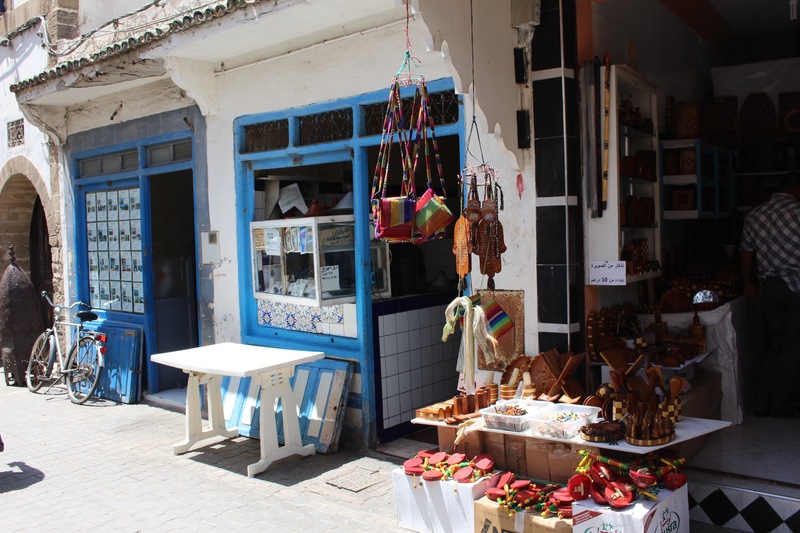 And alcohol is illegal for Moroccans – but it’s sold openly in bars in the new town and secretly in the medina, as well as being readily available in supermarkets. Yet still, we were advised to hide our alcohol when we carried it, in case we ran into a ‘nasty cop’. The police force are full of corruption; and readily accept bribes. 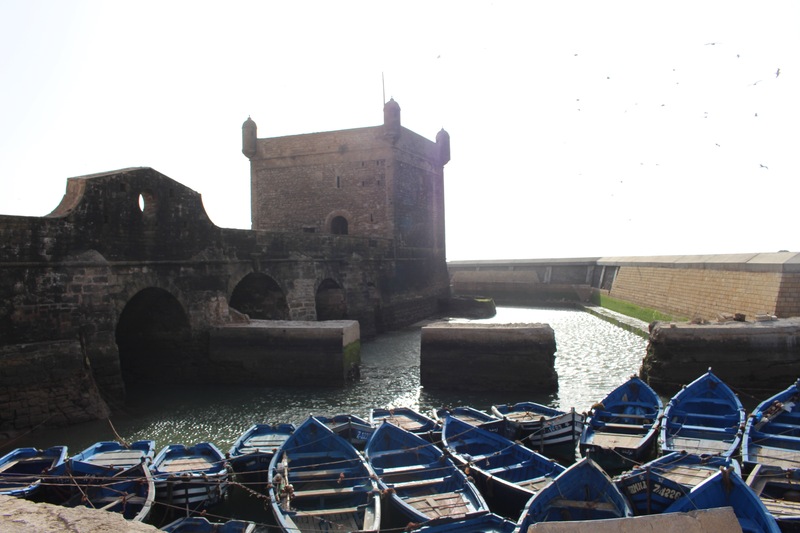 At one point in the trip we drove from Marrakech to the seaside town of Essaouira with our Moroccan friends (about a 3 hour drive) during which we were stopped at least 3 times each way, simply because the car had Moroccan people who were with foreigners (technically not allowed). But of course, they couldn’t really convict us for that, and most of the time our friends managed to talk them around. One particularly nasty one, though, forced us to pay 300 dh (about £25). He opened up the boot of the car and saw all our alcohol, but in the end fined us because two of us hadn’t had our seatbelts on, and gave us a stupid lecture about seatbelts (in French) while we listened, knowing that this wasn’t the real reason he’d stopped us or fined us, with him knowing it, too. Really, the police are driven simply by money; like much of Morocco. Shopkeepers, stallholders in the medina, too, are driven by this. The only real ‘harassment’ I experienced was when I was walking in the souks (markets), where I’d receive comments like ‘beautiful Miss England’ and even got called Shakira and Lady Gaga. But unlike in England, despite these comments being far more frequent and persistent, I never felt threatened or in danger at any point. Really, it was just to get me to come into their shop – they made comments like this to everyone. It’s very sad, but almost understandable, in a country still mostly ruled by poverty. In light of my trip, I thought I’d put together some travel advice as I’ve received several questions and comments about Morocco. I had an AMAZING time, because I was in good, safe company, and in Morocco you definitely need your wits about you. As a tourist, Moroccans will see the colour of your skin and they WILL try and rip you off. They all want your money, so you need to know the prices of things. Shop around before buying anything so you have an idea of what the best price is, and always, always HAGGLE. If the shopkeepers think you are going to leave and go into a different shop, they will almost always drop their offer to a more reasonable price. Bare in mind that prices can range a lot. 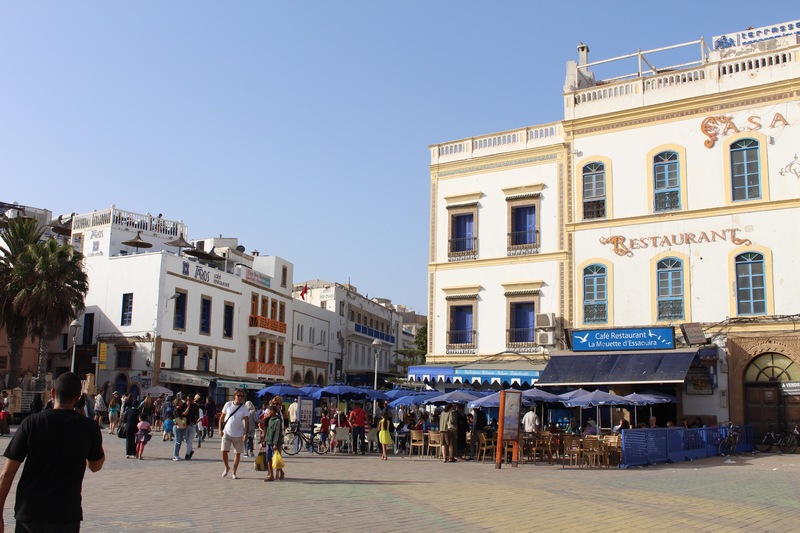 For example, orange juice in a restaurant can cost anything up to 30 or 40 dirhams (about £3), but in the main square, Jemaa el Fnaa, you can buy it for 4dh (about 30p). In our hostel henna cost 60dh but a lady in the square tried to charge me 250dh (we eventually threw 100 in her lap and ran away). Know that a flat “small taxi” rate to the airport is 100dh in the day and 150dh at night. 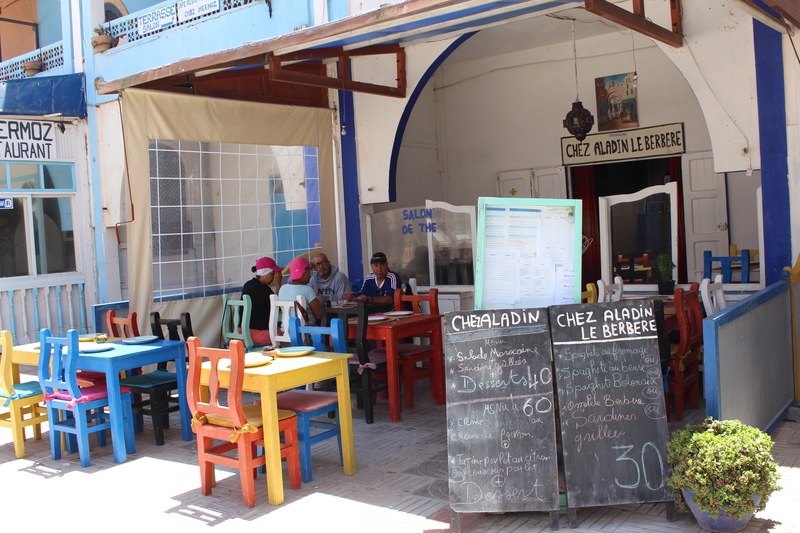 And for most of the tourist attractions on the outskirts of the medina (YSL Jardin Majorelle, Bahia Palace, CyberPark), the fare shouldn’t be more than 20dh as these are basically all walkable. You will basically just have to flat-out ignore most people in the street. Don’t reply to be polite as they’ll be encouraged by this and pester you further. Do not accept people who try and show you directions, assertively tell them no – they will either direct you to their shop or try and charge you an extortionate fee just for showing you directions. Use Google Maps or if not go old-school and invest in an actual map. 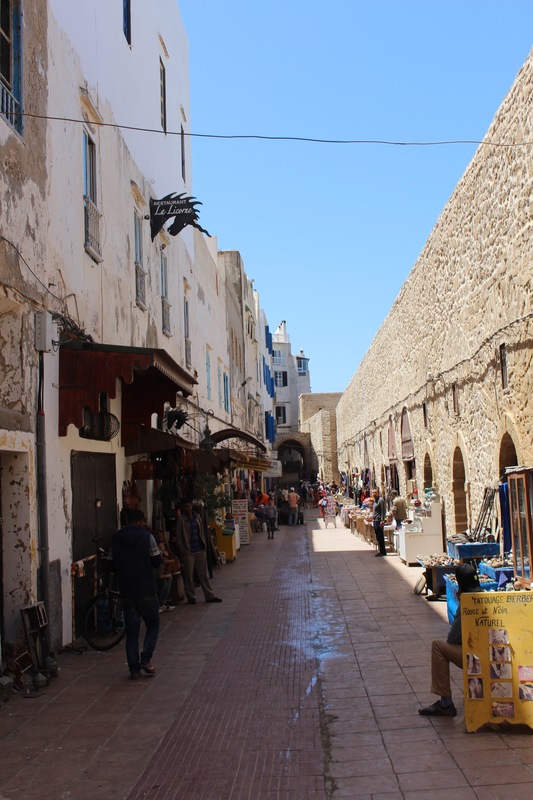 The medina is a maze of winding, narrow, centuries-old streets and cars can’t drive through most of it, so it’s a lifesaver if you know your own way. And know that nothing is free – if someone offers you a bracelet or henna as a ‘gift’, they will probably try to charge you later. I am the most feminist of feminists, trust me, but I also believe in showing respect when visiting a different country. While I might not agree with Moroccan rules, I still believe in respecting them and not uprooting the way of life in a country I am a mere spectator in. This doesn’t mean investing in a burka by any means, but it did mean me and my friend covered up a little in the medina. I tried to wear culottes/ maxi skirts/dresses if I could (these are also light and breezy so great for the sweltering Moroccan heat). But still, for example, if I wore long pants I’d happily wear an off the shoulder top, and I did wear a denim mini skirt a couple of times. But, I still brought a couple of scarves with me that I’d quickly tie over my legs or shoulders. It really, really, really helps if you know some Arabic or French. We didn’t actually know Arabic but as soon as we spoke in French to taxi drivers, shopkeepers, traffic cops, they were much more friendly and accomodating as well as offering us better prices. We learned a few Arabic phrases though, like “la, shukraan” (no thank you) which was SO useful. As soon as we said this to people pestering us in the market, they immediately left us alone (probably reeling in shock that we actually knew some Arabic). Perhaps I was lucky in my experience as my best friend who I was travelling had already been to Morocco several times and knew loads of local people in Marrakech. They helped us get around, accompanied us at night in the medina so we were pestered less in the market, and negotiated prices for us in Arabic so we weren’t ripped off. It was genuinely extremely helpful and I felt like it gave us a more authentic Moroccan experience. If you’re staying in a hostel, I definitely recommend making friends with the people who work there as a starting point. Have you guys ever been to Morocco? Let me know your thoughts in the comments! Beautiful clothes and Great post! I would love to go to morocco!!!! Thanks so much lovely!! It’s gorgeous I’m planning to go back soon ! Really interesting Nina! I’m planning to go to Morocco sometime soon so this is definitely helpful. Did nobody find it offensive that you wore off the shoulder stuff/tops that showed your shoulders and chest? Such a great post! I’ve also heard those rumors which put me off but I’ve always wanted to go! So I’m gonna go and when I do I’m gonna revert back to this post for your brill tips! !